NEW MARKET HOURS Starting on February 4th, our Market will be open from 10 A.M to 7 P.M MONDAY - SATURDAY. Open Monday – Saturday from 10 a.m. – 7 p.m., our retail market features a wide selection of the freshest seafood, driven up from the Texas coast or flown in daily from waters around the world. We fillet most of our fish on site, allowing us to better control the quality of the product that we sell to you. Find out what's happening around Quality Seafood, special events coming up, promo's, and our Weekly Specials by signing up for our weekly newsletter! It comes out every Thursday morning. Sign up for the Catch of the Week! We respect your privacy! We won't give anyone your email address. John Martinez is a Quality Seafood fishmonger who prides himself on only selling the best quality fish. He’s been a full-time fishmonger for twenty-eight years, having been with the company for 32 years. 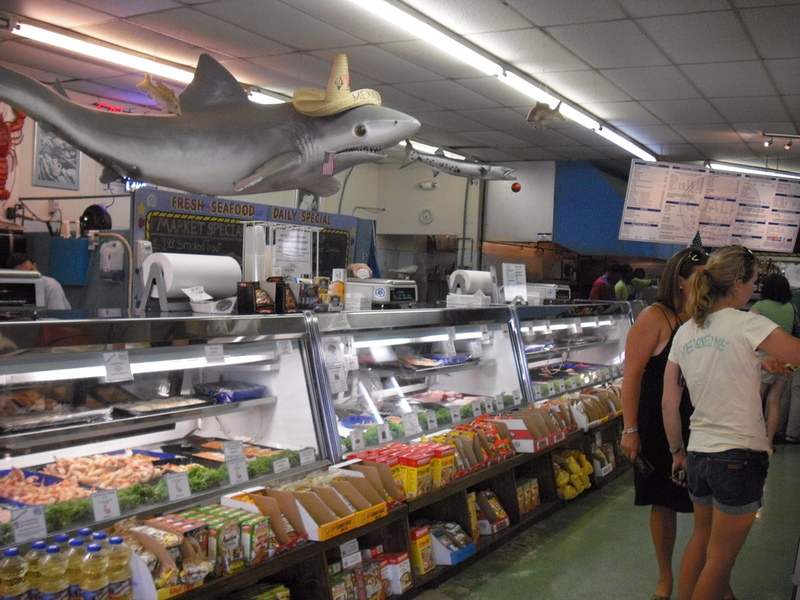 So John, knows a thing or two about seafood and how to find the freshest product. In the trade, many fishmongers work to the Torry Scale. This is how they judge what is fresh and what isn’t. It’s all based on smell, touch, feel, and how the fish looks. Here’s what he looks for when he’s buying fish and putting it out to his customers. The eyes shouldn’t be cloudy or sunken. They should be fresh and clear – a bit like a marble. The eyes are a good indicator of how fresh the fish is. It doesn’t always mean that the fish isn’t fresh, but it can be one tell-tale sign. Hake is the exception though as they are often held or hung by their eyes to avoid their sharp teeth. Fish should feel firm and strong when you touch them. A fish is a muscular animal and it should feel like that when you touch it. It shouldn’t be squidgy or too soft. Fish should smell of the sea. It should be a fresh and light smell. If the smell is unpleasant then it could be a sign that the fish isn’t at its best. There shouldn’t be a strong or potent smell. Fish has a slime coat that protects it from the sea water and keeps it safe from infection and disease. The skin shouldn’t be tacky or custardy. The colour of the gills can be a good way of checking for freshness. They have blood in them and should be red or pink. They shouldn’t be brown or grey. If they’re brown, it could be a sign that the fish has been there for a while.